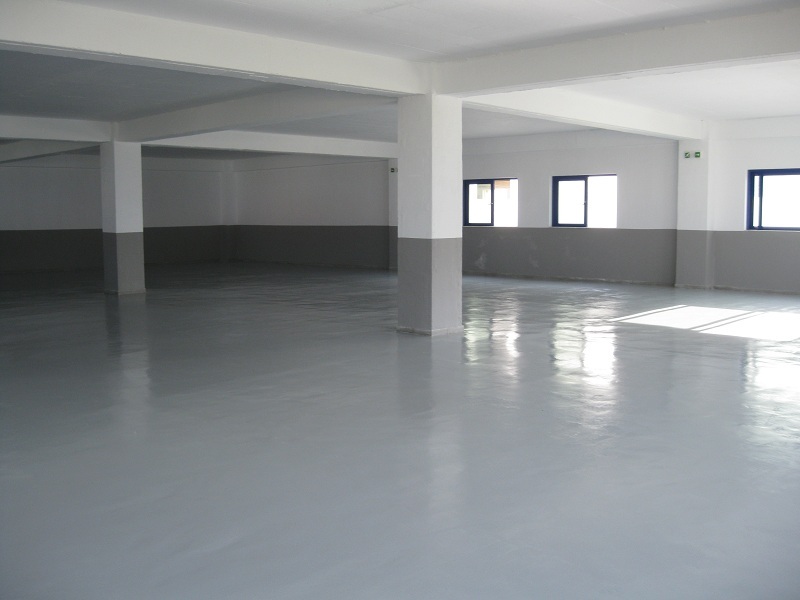 Epoxy and polyurethane (PU for short) floors are the two most commonly used types of resinous industrial floors. An age old question in our industry is what are the differences between the two types of floors? And when should we pick one over the other? Let’s start by looking at the operational differences. These are differences that affect the end-user of the floor. Epoxy floors are harder, more durable and have a much higher compression strength than polyurethanes. This is why they are the preferred choice for heavy duty industries, warehouses and logistics centers with heavy forklift traffic. Polyurethane floors are usually softer and more elastic, which makes them more resistant to scratching as their elasticity tends to absorb some of the impact. The elasticity of PU floors also makes them a preferred choice in freezing chambers where the storage temperature can reach -30 degrees Celsius (-22 F). 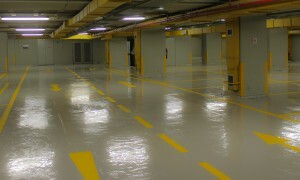 They are also a good choice for multideck car-parks since the elastic coating can act as a waterproofing and crack-bridging layer. Epoxies and polyurethanes behave differently when exposed to certain chemicals. For example polyurethanes are the preferred choice in food industries that have exposure to lactic acids. This the reason why many food processing companies that work in milk, dairy, cheese production choose polyurethanes. Epoxies under such conditions may experience corrosion and yellowing. However when working in industries with sulfuric acids (like battery manufacturing etc) epoxy floors are much more resistant than polyurethanes. If you are working in a facility with heavy exposure to chemicals, check with the manufacturer to see which product is better suited. How does the application of Polyurethane Floors differ from Epoxy? There are also significant differences for the applicator. 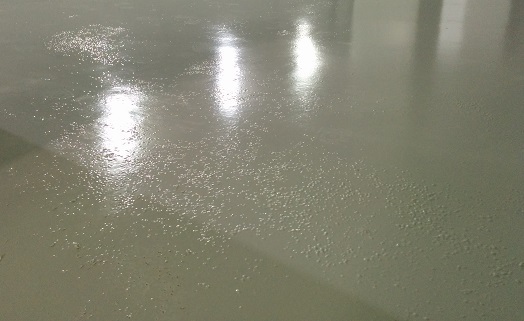 From an applicators point of view polyurethane floor resins are extremely sensitive to the presence of humidity. If an uncured PU floor is attacked by water or condensation you may get this catastrophic results (like in the picture below). Epoxy resins are also sensitive to moisture, but the damage done by humidity will be far more limited. Therefore when working in environments where the presence of humidity could be an issue, epoxy is always the much better choice. Polyurethane floors can be easily modified to extend or limit their pot life, re-coat time as well as the total curing time. This flexibility enables contractors to complete PU floors in a much shorter space of time .With PU you could effectively start a multicoat project on Friday and hand it over on Monday. 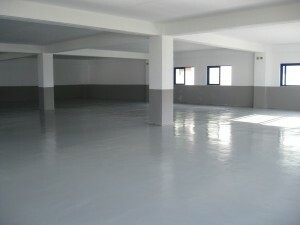 Epoxy floors are much less flexible in this respect in the sense that they usually require 7 days to fully cure. In general polyurethanes are harder to work with. Their limited pot life and sensitivity to humidity require very well trained and experienced staff. Personally I refuse to supply inexperienced teams with PU floor resins. Too many things can go wrong. Finally if you are wondering which one of the two resins is cheaper, I do not really have an answer to that. There are quite a few varieties of products out there. Comparing epoxies to PUs is like comparing apples to oranges. Ultimately your choice of floor should not be based on which one of the two is cheaper, but which one of the two suits your needs. Did you enjoy the above video? What if we told you that you could access three hours of training videos on epoxy flooring? Videos jam-packed with information, tips, and secrets that experienced contractors don’t like to share! Click here to learn more about our online course!